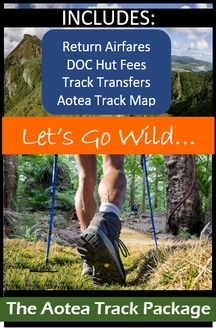 The Aotea Track Package - Let's Go Wild! 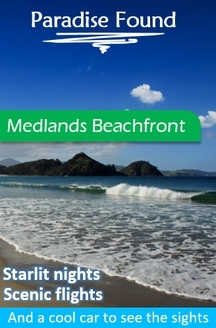 The 25km Aotea Track loops the central mountainous area of Great Barrier Island and is a manageable 3 day circuit for reasonably fit beginner or experienced trampers. 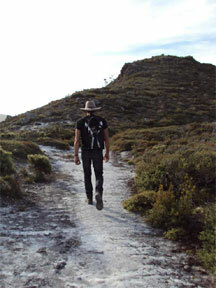 The track offers a combination of easy walking trails, steep climbs, stairways and bridges. 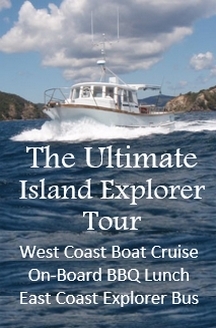 You will travel over a range of spectacular landscapes... streams with beautiful native bush, tranquil wetlands and forests of kauri, rimu, kahikatea and more. 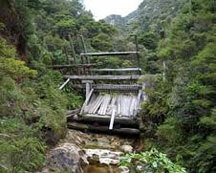 Discover the historical remains of the early Kauri industry... and the kauri tramline track remnants. Two well positioned huts allow for manageable walks of 3 to 4 hours over the 3 days. Mt. 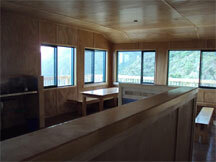 Heale Hut was opened in 2012 and provides spectacular views over the Hauraki Gulf & Hauturu/Little Barrier Island. 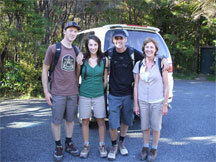 Located on a central ridge, 30 minutes from Hirakimata/ Mt Hobson (Great Barrier Islands highest point 621m). This 20-bed hut has excellent sleeping and gas cooking facilities. 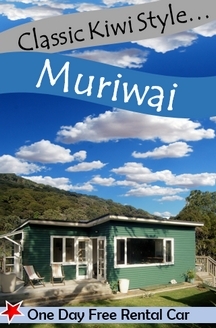 Kaiaraara Hut is near sea level on the western side of the island. This is a 24 bed hut with a wood burner. It is situated near the Kaiaraara stream beside the Forest Road. 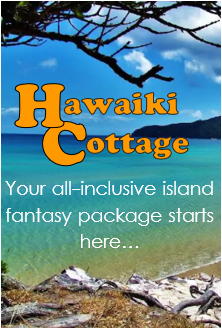 Hut booking fees ~ $15.00 (child 5~17 $7.50) p.n. Starting from Whangaparapara Road, the Kaitoke Springs Track begins flat & easy, following an ancient shoreline.Follow the boardwalks across the unique kauri wetlands and listen for the call of the fernbird or spotless crake. Enjoy the hotpools but take care - they might be too hot in places. After a brief steep climb and descent, join the Tramline Track North and then Peachtree Track on your left. Climb steadily through the regenerating forest to reach Mt Heale hut. The spectacular Windy Canyon is accessed from the beginning of Palmers Track at the top of the Whangapoua Hill. 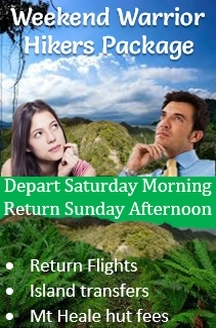 This route is fully bridged and is the shortest and easiest option for the first day. A steady climb takes you through the sheer faced magnificence of the Windy Canyon with superb views of Okiwi Basin to the north and Kaitoke and Medlands Bay to the east. The track follows the ridge offering constantly changing vistas in every direction, before an impressive set of steps and stairways leads you to the summit of Mt. Hobson. From here take Southfork Track along and down to Mt Heale hut. If you start your walk at Windy Canyon, you may prefer to end your 3rd day at the hot springs rather than Great Barrier Lodge... Arrange your preferred pick-up point with your transfer driver. Follow the signs to Kaiaraara Track. The track is a steep downhill track with 15 bridges including 3 suspension bridges. The summit track is an easy tramping track with many stairs going downhill and the rest of the Kaiaraara track is of day visitor standard. The last day you'll find an easier grade with no major climbs following Forest Road. 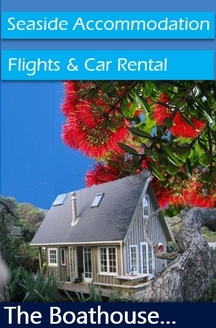 Enjoy beautiful bush and mountain views including Maungapiko Lookout, Kauri Tree Route (a small stand of impressive large kauri trees) and extensive views of the bays to the west. 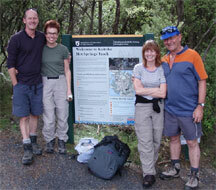 From Forest Road, follow the historic Tramline Track down to Whangaparapara Harbour. 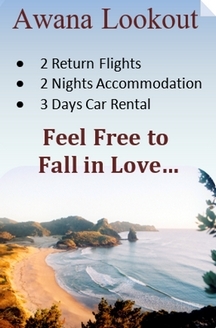 On the way, a 5 minute detour to Kauri Falls takes you to a waterfall and swimming hole. 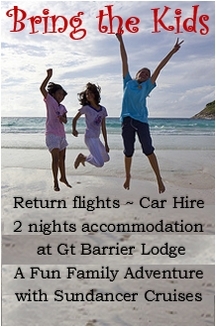 Follow the harbour road to Great Barrier Lodge and enjoy some well deserved rest and refreshment. Archie will be happy to serve you up a nice cold beverage or two - to enjoy on the deck while you wait for your transfer back to Claris airfield. 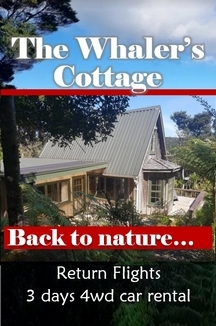 You may prefer to walk the track in the reverse to the suggested route… Ending your 3 day tramp with a soak in the Kaitoke hot springs. Rather travel on the ferry? Or fly one way and boat the other? 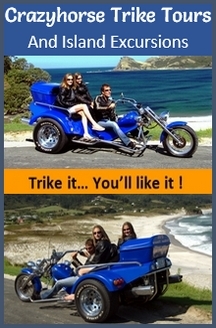 No problem, Give us a call to discuss options, details and pricing.